Richard Archer celebrates his birthday today, but did you ever wonder what the Hard To Beat frontman is up to now? Hard-Fi burst onto the music scene back in 2003, and released their Mercury Prize-nominated Stars of CCTV album in 2005. Frontman Richard Archer and co. gave us indie bangers in the likes of Cash Machine, Hard To Beat and Living For The Weekend- reflecting every day people for whom payday and the Friday night sesh couldn't come quickly enough. 2017 saw Archer take on the new alter ego of Ron Way for his latest project SOAP, swapping his casual zip-up for snazzy blazer. 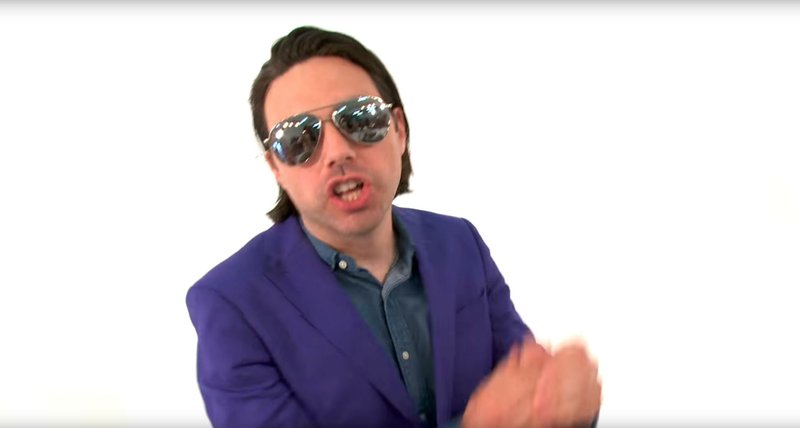 In the SOAP's Golden Day's video, Ron Way's look is also accompanied by slicked-back hair and reflective aviators- a far cry from a hoodie, jeans Adidas Gazelles trainers. The track itself is a departure from Hard-Fi's usual man-of-the-people style, but it's every inch the light and infectious rock 'n' roll ditty with hand claps a-plenty. This latest project isn't all Richard Archer's been up to over the past few years, either. In 2016, he recorded vocals for Thinking About You- a track produced by Swedish EDM giants DJ Axwell and Ingrosso, and has also been writing with and producing the likes of Ratboy and RedFaces. Since he didn't feature in the wacky promo itself, it's hard to guess what look he was rocking at the time. However, we can confirm that in 2015, he was still looking very Archer-esque. Don't expect to see the last of Ron Way though, because SOAP wished their fans a Happy New Year and teased they may be back for more in 2018. Happy New Year from SOAP - cleaning up in 2018! Check out the best albums of 2005 here.